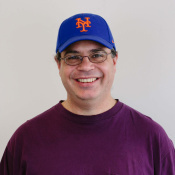 Manhattan GMAT is one of the leaders of GMAT preparations. Their 10-volume set, including volumes on math, Sentence Correction, Critical Reasoning, and Reading Comprehension, sets the standard for print material on the GMAT. 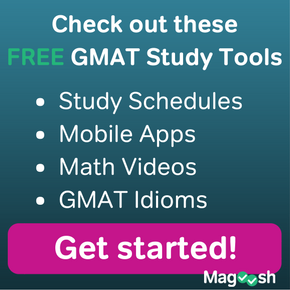 Those ten books are perfect for those ready to take on the challenge of the GMAT. What if you are not ready to dive into the deep end? For example, what if your math skills are weak and need more than a quick review? Or, what if English is not your native language, and you are still struggling to master all the nuances of grammar and argument? MGMAT has prepared two books to help with the kind of foundational studies that have to precede high-level GMAT preparation. Once again, these books, by themselves, are not designed to get you ready for the GMAT. Instead, these books are intended to shore up basics, to get you ready to work through the 10-volume MGMAT set that will prepare you for the GMAT. This book goes through all the basic areas of math: arithmetic, algebra, and geometry. It doesn’t even touch more advanced areas, such as counting problems, probability, and statistics. If you have never felt confident or comfortable in basic grade-school and high-school math, then this kind of review is essential for getting up to speed with what the GMAT will ask. At Magoosh, we have videos lessons covering all these topics. 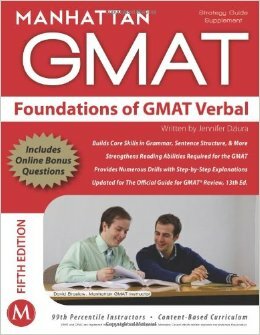 This book is another excellent treatment, and it is full of practice problems, considerably simpler than GMAT problems, so you can practice the basic skills and get comfortable with them. This book does an excellent job going through all the basic of grammar that you will need for Sentence Correction, all the basics of arguments that you will need for Critical Reasoning, and all the basics of reading that you will need for Reading Comprehension. Once again, all of this is covered in Magoosh video lessons, but this MGMAT volume is one of the best treatments of the subject in a print source. In particular, this volume is ideal for folks from India, because Indian English has a pattern of differences from what is acceptable on the GMAT Sentence Correction. 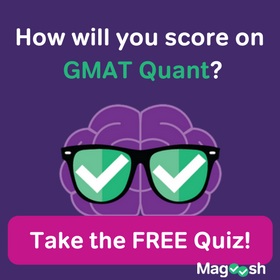 The MGMAT 10-volume set is the gold standard for GMAT preparation, but many students cannot operate at the level of those texts when they begin. Some students need more support in math first, and others, more support in verbal skills. Whereas Magoosh supplies all these seamlessly in its video lesson library, MGMAT separates these out into discrete volumes. If you need help with the basics, these books are excellent. Even if you are a Magoosh customer already, hearing the basics taught in another way is always helpful. Hearing the basics in another voice can be exactly what you need to make the ideas “click” for you. 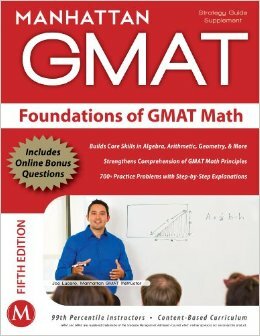 Once again, understand that these two volumes are not designed, in and of themselves, to prepare you for the GMAT. Rather, they are designed to get you ready to prepare for the GMAT. If you have had any experiences with these books, we would love to hear your perspective. 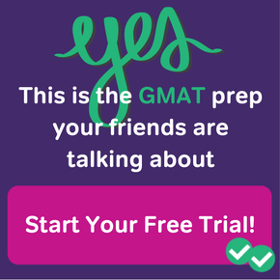 The Official Guide for the GMAT Review 2019: Should You Buy It? Should I finish the whole foundation book first before starting in the MGMAT studdy guide books or can I just read the topic from the foundation before working on it in the guide? That depends on you and how you feel you learn best. 🙂 I would personally probably finish the foundation book and then move on, but I know many other people learn better by using resources in a topic-wise fashion. If you have some insight into the best ways for you to learn, you should use that knowledge to work on the GMAT! If you choose one path or the other and notice it isn’t working, don’t be afraid to change your approach, either. You’re the master of your study destiny!